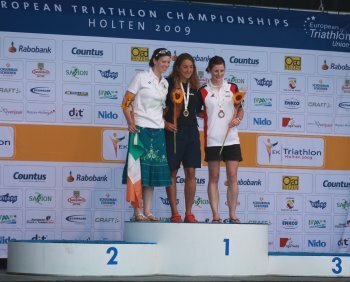 A huge congratulations to club member Amy Wolfe who put in a marvelous performance to take silver in her age-group at the European Championships in Holten, Holland recently. Amy had her charachteristic strong swim which saw her 2nd in her wave out of T1, she maintained a top position on the cycle and was 5th off the bike, and then held off a strong field on the run. Well done Amy, you’ve done Cork and Ireland proud.